Spin Palace are one of the oldest and most respected online casinos. 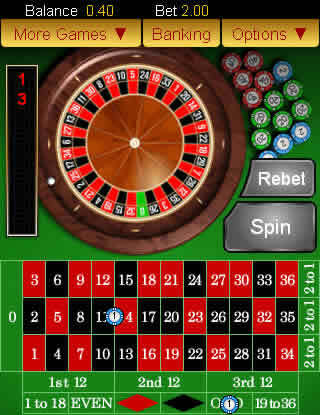 Spin Mobile Casino has been optimized for Android, iPhone & iPad. 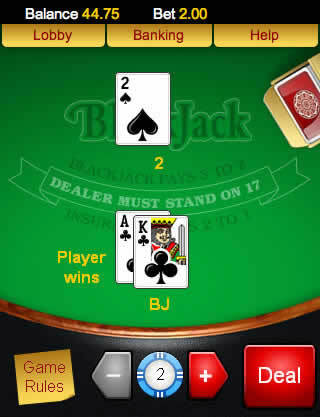 Play real-money slots, blackjack, roulette and video poker games. No download casino games. Play instantly on any smartphone. Get a $1,000 deposit match bonus when you join the casino. Founded in 2001, Spin Palace widely recognized as one of the best dedicated online casino sites. Over the years, Spin Palace developed a strong reputation for excellent bonuses, timely withdrawals and high quality casino games. 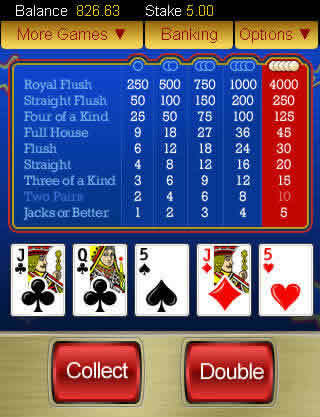 Thankfully, the latest iteration of Spin Palace mobile casino app for Android, Windows Phone, Blackberry, iPhone, iPad and Nokia systems maintains its reputation by allowing you to join some of the hottest casino action while remaining on the go. Quite obviously, the functionality of the app is somewhat limited when compared with the desktop-optimized version of the site, but there’s simply no denying the fact that Spin Palace fans received a product that can easily rival the latest releases from all the other industry giants in terms of overall quality and value. The new Spin Palace mobile casino app for Android handhelds and tablets from HTC, Samsung, LG, Motorola or Sony Xperia is entirely browser-based, which guarantees maximum compatibility even with slightly outdated devices. Consequently, the app doesn’t require you to commit to a download and won’t take any space on your SD card, but unfortunately you’ll need a stable and fast internet connection in order to achieve perfect performance. Keep in mind that launching real money games requires you to have a valid Spin Palace account. Thankfully, the entire registration process doesn’t require you to wait for any authentication e-mails and can be completed directly via the Android app, which means that you should be ready within a few minutes from your first visit on the site. New Spin Palace customers are free to take advantage of the generous Welcome Bonus, which allows you to grab up to $1,000 completely for free and which can be claimed over the first three payments that you make. The first chunk of the bonus is worth $250 and is a 100% match on your first payment, while the second and third chunks are worth $300 and $450 and come with a 25% and 50% match on your subsequent deposits. Please note that the entire bonus has a 50x playthrough requirement that has to be cleared before you’ll be allowed to withdrawal any of your promotional funds. The main lobby of the Spin Palace Android app won’t surprise you with any flaring special effects – the overall design is very simple and functional, which means that you won’t have to waste time staring at boring loading screens even if your internet connection isn’t exactly up to the task. The mobile banking feature allows you to make a deposit or request a withdrawal without switching over to the desktop-optimized version of the site. All banking transactions are digitally encrypted, so you won’t have to worry about any hacking attempts as long as you protect your password. All the available games are grouped into convenient categories like slots, blackjack, progressive jackpot slots, roulette, video poker and instant win scratch cards, allowing you to quickly navigate to the titles that you’d like to try. Once you actually launch one of the available titles, you’ll be greeted by a simple tutorial that explains the basic features of the user interface, which makes the app exceptionally accessible even for inexperienced mobile casino enthusiasts. In most cases, returning to the main lobby or viewing the pay table requires you to perform a swiping motion and doesn’t require you to click any additional buttons, which means that your screen won’t be cluttered with visual elements that aren’t directly related to the game. Like most Android-friendly casino apps, the mobile version of Spin Palace software can’t really compare with the best desktop-optimized casinos in terms of game selection. The available games are all exceptionally well-designed and entertaining to play, but in the end you might get bored of returning to the same titles over and over again after you spend a couple of months with the site. 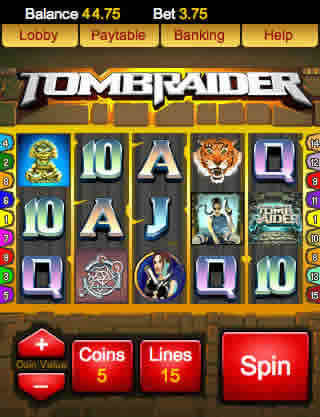 The most popular casino titles include European Blackjack Gold, European Roulette Gold, Thunderstruck, Mermaid’s Millions, Jack or Better, Tomb Raider as well as Mega Moolah, which is quite notorious for tempting casino enthusiasts with a massive progressive jackpot that tends to grow beyond $1,000,000 from time to time. 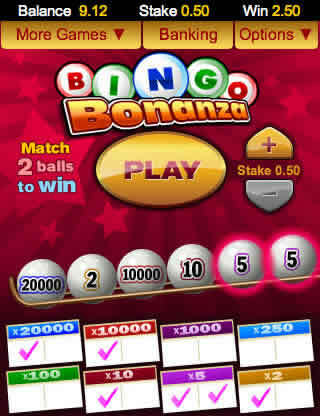 In addition, Spin Palace gives you access to a number of old-school slots that don’t support the quick navigation features, such as Royal Derby, Bingo Bonanza, Dragon’s Fortune or Major Millions, but you should keep in mind that those titles aren’t really as exciting to play as most of the latest Android-optimized games. Spin Palace supports a wide range of banking options, including all the popular picks such as Visa, PayPal, Neteller or Skrill. Ukash, Pay Safe Card payments and bank wire transfers are also available, but I wouldn’t recommend using those methods to make a deposit unless you really have to due to the fact that e-wallet payments are simply faster and allow you to request a withdrawal using the same method. All deposits are processed instantly, but keep in mind that cash outs might take up to two weeks depending on the method you use. Spin Palace offers excellent customer service, which can be contacted via phone or e-mail and which is guaranteed to provide you with helpful answers to any questions that you might have. Furthermore, the site has an extensive game support library that can be accessed directly through the Android app. Unfortunately, this resource contains plenty of information on desktop-optimized games, which might be confusing if you’re trying to search of information on Android titles. 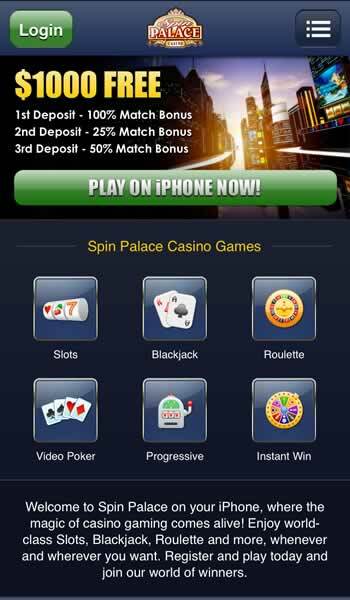 The mobile Android app offered by Spin Palace doesn’t set the standards for the entire industry to follow, but it’s an excellent piece of software which is guaranteed to provide you with hours upon hours of quality entertainment. 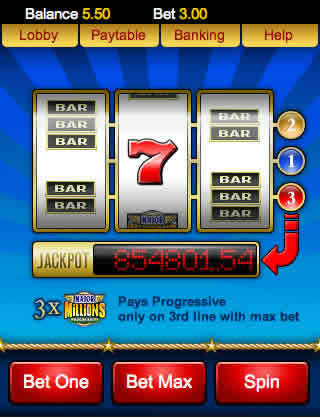 Most of the available games are exceptionally well designed and the generous welcome bonus gives this site plenty of additional value even despite the rather high rollover requirements. If you enjoy slots, video poker or blackjack, I’d recommend giving Spin Palace a try - it probably won’t become your primary casino gaming destination, but at the very least you’re going to enjoy yourself until you give each of the available titles a try.